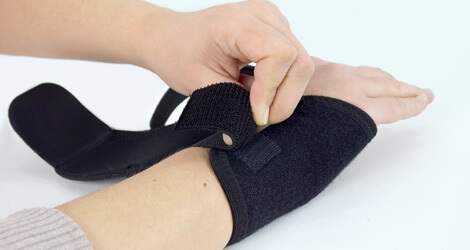 Wrist braces are useful in healing the repetitive strain injury. With the help of custom wrist brace in Brampton & Caledon, you can support your hand and wrist in relieving the strain from inflamed tissues. At Sandalwood Physiotherapy, our wrist braces are designed to apply stretch to the tight joints and other soft tissues. When joint stiffness becomes a significant issue following an injury to the hand, the braces can help improve motion in the joints. What Are The Custom Made Splint? Custom made wrist braces are designed by the therapists so that it can properly fit your hand. In case, you are wearing the wrist braces to heal the severe problem with your hand then you must follow the therapist’s guidance on how to wear it. A wrist brace should be worn in the nighttime when you are going to sleep as it makes sure that your wrist is straight and does not get excess pressure. So, if you are looking for the custom made wrist braces in Brampton or Caledon, contact our licensed physiotherapist to fabricate customized splint for a snug fit to your hand. Get The Fully Customized Wrist Braces Here With Us Today!